Endnotes are available in the PDF version of this issue brief. Superstorm Sandy. Massive droughts. Devastating tornadoes. Horrific wildfires. The United States has certainly seen the dramatic weather-related effects of climate change in 2012, and every American has in some way been negatively impacted. Unfortunately, unless we start taking action now to curb the greenhouse gas pollution that’s causing this extreme weather, things are only going to get worse. Depending on which actions we choose to take, this year will either be the new normal or it will be a glimpse into a future where conditions are much, much worse. Progressive leaders across the country are beginning to take action and look for ways to fight climate change. President Barack Obama is using provisions of the Clean Air Act to reduce pollution from new power plants. California and some Northeastern states—Connecticut, Delaware, Maine, Maryland, Massachusetts, New Hampshire, New York, Rhode Island, and Vermont—have regional programs that put a price on carbon dioxide and other greenhouse gas pollutants in the hope of reducing their usage. These are powerful steps in the right direction, but they alone cannot solve the challenge of climate change. Avoiding the most catastrophic consequences of global warming will require much broader action. There are several ways that the United States could make a significant contribution to the global fight against climate change. We could take President Obama’s action on new power plants to the next level and use the Clean Air Act to reduce pollution from existing power plants and other major sources of emissions. The existing regional programs that charge a fee for pollution could be strengthened and broadened to cover more of the country, or Congress could get involved and put a nationwide price on carbon by creating a carbon tax. Before diving into specifics on a national carbon tax, it’s important to recognize that there are countless ways to put a price on carbon. A cap-and-trade system is one such method, and it’s certainly possible to design a progressive cap-and-trade system. In such a system, a strict cap is set on national pollution, and polluters must have permits for all of their pollution. These permits are freely traded so that companies can reduce their pollution profit by selling permits to other companies that may need more pollution allowances. Analysis showed that the cap-and-trade bill passed in the U.S. House of Representatives in 2009 would have benefited low-income people, reduced the deficit, protected vulnerable industries, reduced pollution, and stimulated investment. That’s why CAP, along with private businesses and a bipartisan majority of the House of Representatives, supported the bill. Unfortunately, it failed to muster the necessary support in the Senate and was never enacted. Three years later cap and trade is off the table largely because of a polluter-funded effort to deny climate science and delay action on pollution reductions. But Hurricane Sandy, the fiscal cliff, and the debate over clean energy incentives have together made it clear that we must put a price on carbon—and we must do it soon. Given the track record of climate legislation in Congress—including the failed effort to pass the cap-and-trade bill in 2009—enacting a carbon tax poses more of a challenge than either expanding the regional carbon-pricing actions or using the Clean Air Act to regulate all power plants. While both of these alternatives are steps in the right direction, a national carbon tax would be able to address more than just our environmental concerns. In addition to mitigating the effects of climate change, a carbon tax could help solve our country’s budget crisis and provide revenue for new job-creating investments in clean energy infrastructure. By raising new funds, driving new investments, and reducing the likelihood of the most catastrophic consequences of climate change, a carbon tax is a tool that can take on our country’s three most pressing challenges: the deficit, joblessness, and the climate crisis. In this issue brief we describe some of the key questions Congress needs to answer in designing a carbon tax. We lay out the principles for making sure that a carbon price puts our country on a progressive path to future prosperity and describe why a carbon tax is a desirable way to price carbon. We then turn to the issues in collecting the necessary revenue. Finally, we discuss how to use the revenue to most effectively solve the challenges facing our country. Be sufficiently robust that it leads to meaningful reductions in greenhouse gas pollution, getting us on a path that helps us avoid the most catastrophic effects of climate change. In addition to being high enough to affect pollution rates, the tax should also increase over time and be applicable to non-carbon-dioxide greenhouse gases such as methane. This would both ensure a continuing reduction in the release of carbon dioxide and also encourage companies to move toward cleaner energies instead of different dirty ones. Encourage businesses to make new investments in energy efficiency and renewable energy to reduce greenhouse gas emissions. This will stimulate the economy and put people back to work in the burgeoning clean-tech and green-jobs sectors. Reduce—not increase—economic vulnerability of low-income households by ensuring that they are fairly compensated for any increase in energy prices. Have appropriate mechanisms to protect existing American businesses and prevent so-called pollution leakage to countries without similar systems in place. Leakage occurs if highly polluting industries simply move to other countries that don’t have a comparable limit on pollution; in this way, they can continue business as usual without stricter environmental regulations. Leakage can also happen if domestic industries shut down, causing us to import goods from other countries. Reduce the budget deficit to prevent draconian cuts in vital domestic programs by raising revenue from the tax. The remainder of this issue brief explains how to design a carbon tax that meets these criteria. Although it is unlikely that Congress will attempt to pass federal cap-and-trade legislation again in the near future, there are alternatives to putting a price on carbon—including the carbon tax, which is getting significant attention today from lawmakers and thought leaders across the political spectrum. The basic mechanics of a carbon tax are very simple: A tax is assessed on each ton of greenhouse gas pollution, the tax is paid to the government, and the government uses the money for either targeted spending or general usage. The tax will discourage pollution, therefore discouraging the use of fossil fuels while promoting cleaner energies. It can be increased over time to continue incentivizing polluters to lower their emission rates. A carbon tax does have a critical distinction from cap-and-trade. With the carbon tax, the price is fixed, and the market responds by reducing carbon pollution to a point where it is cheaper to pay the tax than reduce the pollution. With cap-and-trade, though, the amount of pollution reduction is set by law, while the market responds by setting a price for pollution at the point that reflects the amount of pollution that must be reduced. The difference is cost certainty versus emissions-reduction certainty. For some pollutants such as sulfur dioxide or nitrogen oxides, the emissions certainty is very important. 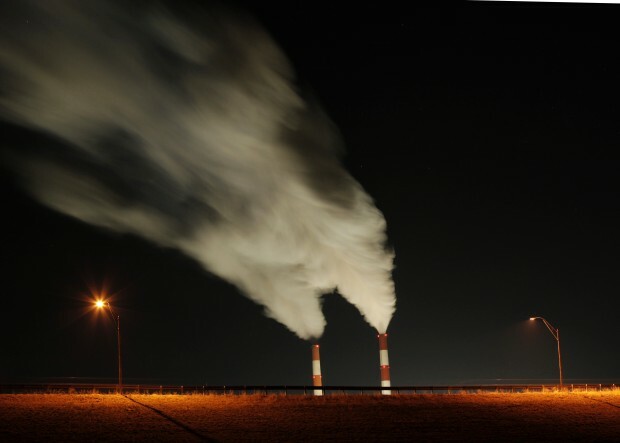 With greenhouse gas pollutants such as carbon dioxide, on the other hand, atmospheric concentration will determine the impacts of climate change. This means that the reductions in greenhouse gas pollution need not be as precise as those for conventional pollutants, as long as we meet longer-term goals such as reducing pollution 17 percent from 2005 levels by 2020 and 80 percent by 2050. A carbon tax of $15 to $25 will achieve these levels of reductions by incentivizing companies to lower their pollution rates to the desired levels, making it an effective solution to curbing greenhouse gas pollution. The cost certainty implicit in a carbon tax could also be very useful in driving investments in efficiency and new clean technologies. For long-lived assets such as power plants and factories, knowing what the cost of carbon will be in the future makes planning those investments much easier. A carbon tax will also incentivize the use of non-fossil-fuel-based energy, causing an economic boost in the green-jobs and clean-tech markets. There are two important sides to a carbon tax: how the revenue is collected and where the revenue goes. Getting the right mix of policies on both sides of the equation will ultimately determine whether or not a carbon tax achieves the aforementioned goals. At the most basic level, a carbon tax is simply a fixed fee per ton of carbon dioxide pollution, as well as a comparable fee for other greenhouse gas pollutants such as methane, that a company must pay when it emits these pollutants. Beyond that, the details get somewhat more complicated. How much should the tax be? What sectors of the economy should have to pay? How should the tax be collected? The answer to each of these questions involves tradeoffs, but recent research can point us in the right direction. How much should the tax be? The tax should be set as close as possible to a level that will achieve growing pollution reductions over time—reductions that will be significant enough to avoid the most catastrophic consequences of climate change. Setting the tax lower than this will simply create a revenue-generating tool that doesn’t solve the underlying problem. While getting the price right to the penny is virtually impossible, getting in the ballpark should be relatively easy. Modeling of cap-and-trade proposals from 2009 and extensive modeling of energy systems since then indicates that a price anywhere from $15 to $25 per ton is about what is needed to reduce pollution by appropriate amounts.Recent experience from California’s cap-and-trade system indicates that significant emissions can be achieved with a price of just around $10 per ton. To avoid shocks to the economy that may arise from introducing a new tax on pollution, it makes sense for the price to be very low—perhaps lower than ultimately necessary to achieve significant pollution reductions—for the first year or two years of the program, with a gradual ramp up to the target price. The price should then increase at a steady rate each year to ensure further reductions in greenhouse gas emissions. Congress likely does not have the internal expertise to set the tax at exactly the right level. To set the price, Congress should direct the Department of Energy to determine the necessary carbon price that will put us on a path toward necessary greenhouse gas pollution reductions. Congress should recommend that the Energy Department use $25 per ton as a starting point for their analysis. Finally, the tax should be phased in on a predetermined schedule along the lines of 25 percent of the target price in year one, 50 percent in year two, and 100 percent in year three. (For a target tax rate of $25 per ton, that would mean a price of $6.25 per ton in the first year, $12.50 in the second year, and the full $25 in the third year.) Because there is a risk that the price may not be sufficient to fully address climate change, however, Congress should not interfere with the Environmental Protection Agency’s existing authority to regulate greenhouse gas pollution. Who should have to pay? The tax should ultimately cover the entire economy. Addressing the climate crisis will require reducing emissions from every source—including electricity, transportation, industry, households, agriculture, and forestry—and the best way to do so is through a price on carbon. Given the differences in terms of how easy it is for each of those sectors to reduce pollution, however—as well as the political challenges that will arise from attempting to tax some of them for carbon use—it may make sense to start with only a portion of the economy and phase in the rest over time. The two largest sources of U.S. carbon pollution are electricity plants and motor vehicles. The Obama administration already adopted the first limit on carbon pollution from motor vehicles, which is projected to reduce carbon pollution by 6 billion tons over the lifetime of the cars built between 2017 and 2025. A carbon tax should therefore focus first on the electric power industry. One advantage in doing so is that there are a relatively small number of sources—just 5,800 power plants in America—and existing technologies can help them reduce their pollution. The electric power industry is also where most cost-effective reductions are found. Research from Roberton Williams and others at the environmental think tank Resources for the Future shows that a tax on carbon pollution just from the electricity industry gets 90 percent of the reductions of an economy-wide tax in 2020. This is because a relatively low tax will lead to much more fuel switching and changed behavior in the electricity industry than in other parts of the economy. Put another way, sectors such as transportation and industry will not respond as much to a moderate tax as the electricity industry will because the electricity industry has less expensive ways to reduce pollution than other sectors of the economy. As the tax increases, though, emissions reductions in other sectors will become a bigger part of the solution. To be clear, reducing emissions from the electricity sector alone is not sufficient to avoid the most catastrophic impacts of climate change. A sector-specific approach only works in the very early years of a carbon tax. Eventually, the tax must cover all major emitters. How should the tax be collected? If the carbon tax is initially only placed on power plant emissions, the tax should be assessed at the power plant. This is better than assessing the tax either farther upstream or downstream from the plant for several reasons. Assessing it downstream—that is, on people’s power bills—is extremely complicated and unnecessarily bureaucratic. It would send a price signal in favor of energy efficiency to families and businesses, but the downsides—complicated and expensive bureaucracy—almost certainly outweigh the benefits. Assessing the tax upstream—that is, at the mouth of the coal mine or at the natural gas well—is relatively straightforward, but it impacts other industries that use coal and natural gas and doesn’t capture imported fossil fuels. If the carbon tax were only applied to certain sectors of the economy—at least in the beginning— assessing the tax at this point would not be appropriate. Power plants collect and report other environmental data, so adding greenhouse gas pollution is a relatively low administrative burden. Assessing the tax at the power plant also sends a price signal for energy efficiency at the power plant, which should encourage investments in more efficient combustion of fossil fuels—or even investments in renewable energy technology. While much of the focus on a carbon tax has historically been based around how a carbon price will reduce pollution, it’s important not to discount the other side of the equation. Spending the revenue earned from a carbon tax is critical for fighting climate change and driving economic growth. The revenue needs to be directed to three uses: minimizing harm to vulnerable consumers and businesses, growing the economy with investments in clean energy infrastructure and other infrastructure that makes communities more resilient in the face of climate change, and reducing the deficit burden on future generations. A simple carbon tax will likely be regressive instead of progressive, and a carbon tax on just the power sector will potentially be more regressive than an economy-wide program. That’s because low-income consumers spend a higher portion of their income on electricity than high-income consumers, even though wealthy households tend to use more electricity because they live in bigger houses, own more appliances, and generally have more demand for energy. Research from the Congressional Budget Office explored seven different options for reducing the regressivity of a carbon tax via the tax code or targeted-spending programs. While none of its solutions are perfect, it does find that an income-tax rebate or payroll-tax rebate can be very effective in addressing the challenge. This is because these rebates reach a very broad number of people and can be targeted to specific income levels. Congress could also create a carbon tax in the context of broader tax reform. If this is the case, the carbon tax need not be explicitly linked to a progressive fix, as long as the overall reform package is progressive. Closely related to reducing harm to low-income consumers is reducing potential harm to energy-intensive, trade-exposed industries. A relatively small number of industries such as cement and glass manufacturing could be harmed by competing imports from countries that do not have their own price on carbon—and therefore can offer their goods at a lower price. Efforts to reduce harm can come from the revenue collection side; that is, there could be some sort of “border tax” on imports from nations without programs to limit carbon pollution in order to level the playing field. Another option would be to spend federal revenue to compensate domestic industries and reduce the competitive advantage of imports from nations without carbon pollution reductions. Because there are questions about the legality and complexity of a border tax on imports, it may make more sense to address this challenge on the revenue-spending side instead of by using border adjustments. In other words, the government can make domestic products less—not more—expensive through some type of rebate or government spending. This spending is also vital in fighting climate change since it prevents emissions leakage to countries without a price on carbon. A carbon tax is not the only thing that’s needed to win the fight against climate change. The tax will be much more effective if paired with additional investments in clean energy infrastructure both domestically and abroad. Using the revenues accrued from the carbon tax could allow us to make those additional investments. The Center for American Progress has previously estimated that in order to address the climate crisis, we need to spend about $20 billion annually on researching, developing, and deploying clean energy technologies, reducing emissions in challenging sectors such as forestry, and meeting our international climate commitments to assist developing nations with their pollution reductions. The exact mix of investments should evolve over time to reflect the impacts of the carbon tax and ongoing developments in clean energy technologies. Generally, though, the spending should be a mix of direct grants, tax incentives, and credit support for deployment of renewable energy technologies, all of which can be cost-effectively targeted to meet specific needs. This spending should be adjusted annually to recognize the impact of an increasing carbon tax on the competitiveness of clean alternatives and the interactions with other policies, such as state renewable portfolio standards or a federal clean energy standard. There is also a great need to repair and replace critical transportation and water infrastructure that helps communities deal with the impacts of climate change. Some portion of the revenues from the carbon tax could be directed toward these sectors. These investments have the benefit of being good for the economy. Research shows that infrastructure investments are one of the most effective ways to spend public money to drive growth. In this case, the infrastructure investments would put people to work in labor-intensive sectors such as renewable energy and energy efficiency. The money remaining after funding these measures should be used for deficit reduction. The total amount of money available for deficit reduction depends on how much of the economy is covered by the tax, but it will likely be substantial. For instance, a $25-per-ton tax on power plants, which were responsible for about 2.2 billion tons of carbon dioxide in 2010, would generate $55 billion per year. Even after protecting low-income consumers and investing in infrastructure, billions of dollars could be left over to help address our nation’s debt. Cutting the deficit reduces the amount of interest future generations will have to pay on our national debt, which frees up resources for more valuable uses. A carbon tax is a popular bipartisan tool for reducing the deficit. Think tanks across the political spectrum, including CAP and the American Enterprise Institute, among others, endorsed a carbon tax in 2011 as part of their proposals to balance the budget. Just like with progressive tax reform, Congress could include a carbon tax to raise revenue as part of an agreement on deficit reduction. In this case, the tax may not need to be explicitly linked to deficit reduction as long as the comprehensive budget package deals with this problem. America is currently on the right path. Our greenhouse gas pollution is lower than it’s been in recent history, and our economy is starting to see more signs of life. Neither of these positive trends, however, is anywhere close to where we need them to be to fully address the challenges of climate change and economic growth. Even worse, our country must make additional significant changes to reduce our substantial budget deficit so future generations aren’t stuck with the bill for our expenses. These issues—climate change, economic growth, and fiscal responsibility—may not appear to be intimately linked. They all have different causes, and they impact our country in different ways. They are, however, inextricably tied together by their solution: A price on carbon can make a significant contribution to solving each of these challenges. This issue brief has explored some of the critical questions in designing a carbon tax, which is the most likely way that carbon will be priced in the near future. There are certain ingredients that a carbon tax must include to be part of a progressive vision for the United States: It must reduce greenhouse gas pollution, drive new investments in infrastructure, minimize harm to vulnerable consumers and businesses, and reduce the deficit. The good news is that there is no doubt that such a tax can be created. The question is whether Congress will do the right thing and design a tax that meets these standards. For the benefit of current and future Americans and global citizens, Congress should act now and create a progressive carbon tax. Richard Caperton is the Director of the Clean Energy Investment program at the Center for American Progress.